Advanced Subsidiary level and Advanced level from Cambridge International Examinations, in short AS/A levels are recognised and highly valued by universities and employers across the globe. The Diploma is designed to develop breadth as well as depth of knowledge and to provide learners with a robust, rigorous and challenging programme. The skills such as critical reasoning, research, team work and argumentation are emphasised in this program along with the subject knowledge which is laid down as fundamentals. A levels are taken over 2 years: the first year is called an AS, or advanced subsidiary level. This is equal to half an A level. The second year is called an A, or advanced level. It’s also sometimes referred to as an A2 and is equal to a full A level qualification. AS levels can be taken as a stand-alone qualification, or as the first part of an A level course. There are few subjects which the student is expected to have done in their IGCSE or in grade 10 from any other curricula (Maths, Physics, Chemistry, Biology, Art , PE and Computer) and minimum requirement is ‘C’ or an equivalent to do the subject at AS/A level. Some subjects can be taken up as an entry level where previous knowledge is not mandatory. Candor International offers an array of AS/A level subjects from each group. Students are expected to do 2 compulsory subjects, English language and GPR (both AS level only), and choose minimum three or maximum four A level subjects. Each subject that a learner takes at Cambridge International AS & A level receives a separate grade. 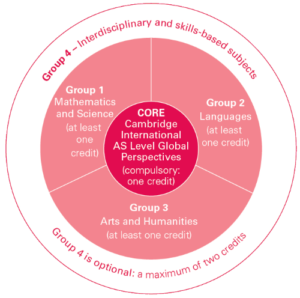 The Cambridge International A level is reported on a grade scale of A* to E – A* awarded for the highest level of achievement to ‘E’ indicating the minimum required performance. There is no A* grading in the certification of Cambridge International AS levels which is reported on a grade scale of A to E.
Each subject that a learner takes at Cambridge International AS & A level receives a separate grade. 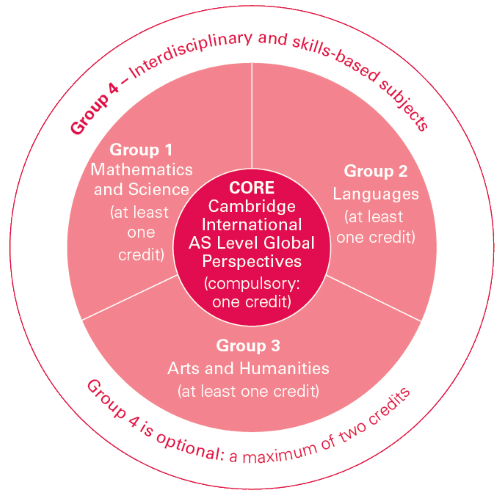 The Cambridge International A level is reported on a grade scale of A* to E – A* awarded for the highest level of achievement, to E indicating the minimum required performance. There is no A* grading in the certification of Cambridge International AS levels which is reported on a grade scale of A to E.